Biologists estimate that species extinctions are currently 500–1000 times the normal, or background, rate seen previously in Earth’s history. The current high rates will cause a precipitous decline in the biodiversity of the planet in the next century or two. The loss of biodiversity will include many species we know today. Although it is sometimes difficult to predict which species will become extinct, many are listed as endangered (at great risk of extinction). However, many extinctions will affect species that biologist have not yet discovered. Most of these “invisible” species that will become extinct currently live in tropical rainforests like those of the Amazon basin. These rainforests are the most diverse ecosystems on the planet and are being destroyed rapidly by deforestation. Between 1970 and 2011, almost 20 percent of the Amazon rainforest was lost. Biodiversity is a broad term for biological variety, and it can be measured at a number of organizational levels. Traditionally, ecologists have measured biodiversity by taking into account both the number of species and the number of individuals of each species (known as relative abundance). However, biologists are using different measures of biodiversity, including genetic diversity, to help focus efforts to preserve the biologically and technologically important elements of biodiversity. Biodiversity loss refers to the reduction of biodiversity due to displacement or extinction of species. The loss of a particular individual species may seem unimportant to some, especially if it is not a charismatic species like the Bengal tiger or the bottlenose dolphin. However, the current accelerated extinction rate means the loss of tens of thousands of species within our lifetimes. Much of this loss is occurring in tropical rainforests like the one pictured in Figure 1, which are very high in biodiversity but are being cleared for timber and agriculture. This is likely to have dramatic effects on human welfare through the collapse of ecosystems. Biologists recognize that human populations are embedded in ecosystems and are dependent on them, just as is every other species on the planet. Agriculture began after early hunter-gatherer societies first settled in one place and heavily modified their immediate environment. This cultural transition has made it difficult for humans to recognize their dependence on living things other than crops and domesticated animals on the planet. Today our technology smooths out the harshness of existence and allows many of us to live longer, more comfortable lives, but ultimately the human species cannot exist without its surrounding ecosystems. Our ecosystems provide us with food, medicine, clean air and water, recreation, and spiritual and aesthetical inspiration. A common meaning of biodiversity is simply the number of species in a location or on Earth; for example, the American Ornithologists’ Union lists 2078 species of birds in North and Central America. This is one measure of the bird biodiversity on the continent. More sophisticated measures of diversity take into account the relative abundances of species. For example, a forest with 10 equally common species of trees is more diverse than a forest that has 10 species of trees wherein just one of those species makes up 95 percent of the trees. Biologists have also identified alternate measures of biodiversity, some of which are important in planning how to preserve biodiversity. Genetic diversity is one alternate concept of biodiversity. Genetic diversity is the raw material for evolutionary adaptation in a species and is represented by the variety of genes present within a population. A species’ potential to adapt to changing environments or new diseases depends on this genetic diversity. It is also useful to define ecosystem diversity: the number of different ecosystems on Earth or in a geographical area. The loss of an ecosystem means the loss of the interactions between species and the loss of biological productivity that an ecosystem is able to create. An example of a largely extinct ecosystem in North America is the prairie ecosystem (Figure 2). Prairies once spanned central North America from the boreal forest in northern Canada down into Mexico. They are now all but gone, replaced by crop fields, pasture lands, and suburban sprawl. Many of the species survive, but the hugely productive ecosystem that was responsible for creating our most productive agricultural soils is now gone. As a consequence, their soils are now being depleted unless they are maintained artificially at great expense. The decline in soil productivity occurs because the interactions in the original ecosystem have been lost. Despite considerable effort, knowledge of the species that inhabit the planet is limited. A recent estimate suggests that only 13% of eukaryotic species have been named (Table 1). Estimates of numbers of prokaryotic species are largely guesses, but biologists agree that science has only just begun to catalog their diversity. . Given that Earth is losing species at an accelerating pace, science knows little about what is being lost. Table 1. This table shows the estimated number of species by taxonomic group—including both described (named and studied) and predicted (yet to be named) species. There are various initiatives to catalog described species in accessible and more organized ways, and the internet is facilitating that effort. Nevertheless, at the current rate of species description, which according to the State of Observed Species1 reports is 17,000–20,000 new species a year, it would take close to 500 years to describe all of the species currently in existence. The task, however, is becoming increasingly impossible over time as extinction removes species from Earth faster than they can be described. 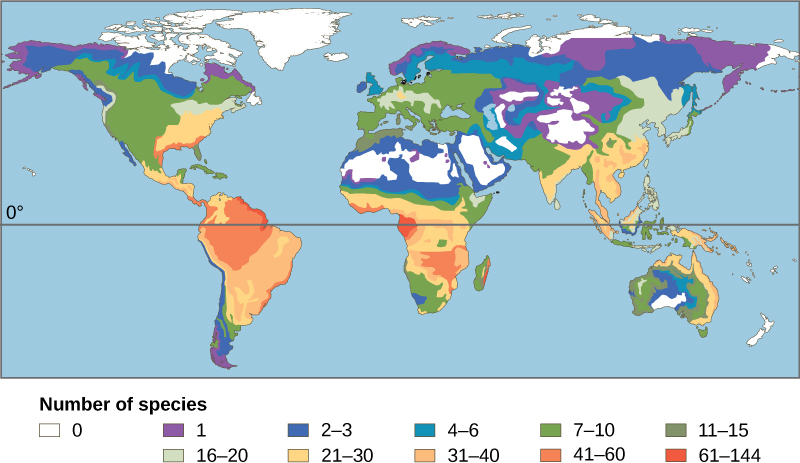 Biodiversity is not evenly distributed on the planet. Lake Victoria contained almost 500 species of cichlids (just one family of fishes that are present in the lake) before the introduction of an exotic species in the 1980s and 1990s caused a mass extinction. All of these species were found only in Lake Victoria, which is to say they were endemic. Endemic species are found in only one location. For example, the blue jay is endemic to North America, while the Barton Springs salamander is endemic to the mouth of one spring in Austin, Texas. Endemic species with highly restricted distributions, like the Barton Springs salamander, are particularly vulnerable to extinction. There are three main fields of study under the heading of biogeography: ecological biogeography, historical biogeography (called paleobiogeography), and conservation biogeography. Ecological biogeography studies the current factors affecting the distribution of plants and animals. Historical biogeography, as the name implies, studies the past distribution of species. Conservation biogeography, on the other hand, is focused on the protection and restoration of species based upon the known historical and current ecological information. Figure 3. This map illustrates the number of amphibian species across the globe and shows the trend toward higher biodiversity at lower latitudes. A similar pattern is observed for most taxonomic groups. One of the oldest observed patterns in ecology is that biodiversity typically increases as latitude declines. In other words, biodiversity increases closer to the equator (Figure 3). It is not yet clear why biodiversity increases closer to the equator, but hypotheses include the greater age of the ecosystems in the tropics versus temperate regions, which were largely devoid of life or drastically impoverished during the last ice age. The greater age provides more time for speciation, the evolutionary process of creating new species. Another possible explanation is the greater energy the tropics receive from the sun. But scientists have not been able to explain how greater energy input could translate into more species. The complexity of tropical ecosystems may promote speciation by increasing the habitat complexity, thus providing more ecological niches. Lastly, the tropics have been perceived as being more stable than temperate regions, which have a pronounced climate and day-length seasonality. 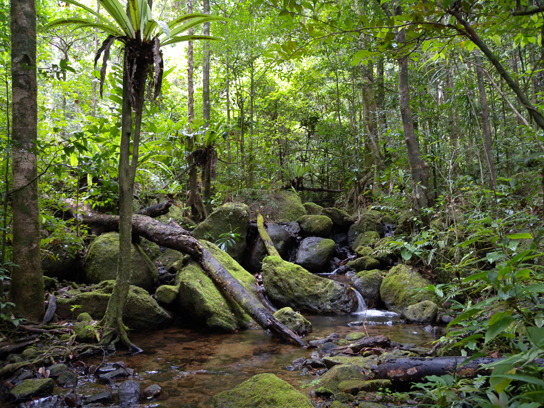 The stability of tropical ecosystems might promote speciation. Regardless of the mechanisms, it is certainly true that biodiversity is greatest in the tropics. There are also high numbers of endemic species. Loss of biodiversity may have reverberating consequences on ecosystems because of the complex interrelations among species. For example, the extinction of one species may cause the extinction of another. Biodiversity is important to the survival and welfare of human populations because it has impacts on our health and our ability to feed ourselves through agriculture and harvesting populations of wild animals. Many medications are derived from natural chemicals made by a diverse group of organisms. 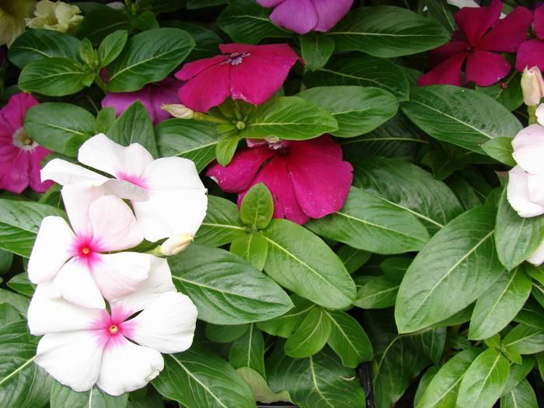 For example, many plants produce compounds meant to protect the plant from insects and other animals that eat them. Some of these compounds also work as human medicines. Contemporary societies that live close to the land often have a broad knowledge of the medicinal uses of plants growing in their area. For centuries in Europe, older knowledge about the medical uses of plants was compiled in herbals—books that identified the plants and their uses. Humans are not the only animals to use plants for medicinal reasons. The other great apes, orangutans, chimpanzees, bonobos, and gorillas have all been observed self-medicating with plants. Modern pharmaceutical science also recognizes the importance of these plant compounds. Examples of significant medicines derived from plant compounds include aspirin, codeine, digoxin, atropine, and vincristine (Figure 4). Many medications were once derived from plant extracts but are now synthesized. It is estimated that, at one time, 25 percent of modern drugs contained at least one plant extract. That number has probably decreased to about 10 percent as natural plant ingredients are replaced by synthetic versions of the plant compounds. Antibiotics, which are responsible for extraordinary improvements in health and lifespans in developed countries, are compounds largely derived from fungi and bacteria. Finally, it has been argued that humans benefit psychologically from living in a biodiverse world. The chief proponent of this idea is famed entomologist E. O. Wilson. He argues that human evolutionary history has adapted us to living in a natural environment and that built environments generate stresses that affect human health and well-being. There is considerable research into the psychologically regenerative benefits of natural landscapes that suggest the hypothesis may hold some truth. Since the 1920s, government agriculture departments have maintained seed banks of crop varieties as a way to maintain crop diversity. This system has flaws because over time seed varieties are lost through accidents and there is no way to replace them. In 2008, the Svalbard Global seed Vault, located on Spitsbergen island, Norway, (Figure) began storing seeds from around the world as a backup system to the regional seed banks. If a regional seed bank stores varieties in Svalbard, losses can be replaced from Svalbard should something happen to the regional seeds. The Svalbard seed vault is deep into the rock of the arctic island. 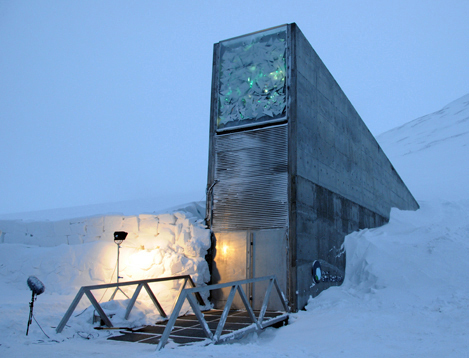 Conditions within the vault are maintained at ideal temperature and humidity for seed survival, but the deep underground location of the vault in the arctic means that failure of the vault’s systems will not compromise the climatic conditions inside the vault. 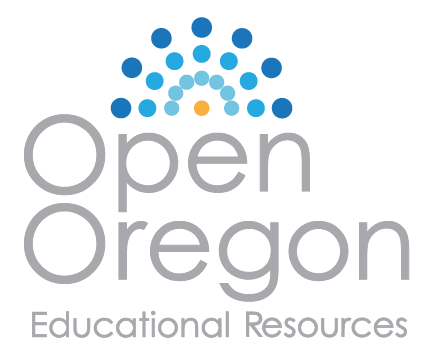 Link to Learning: Visit this website to view a brief video discussing a study of declining fisheries. 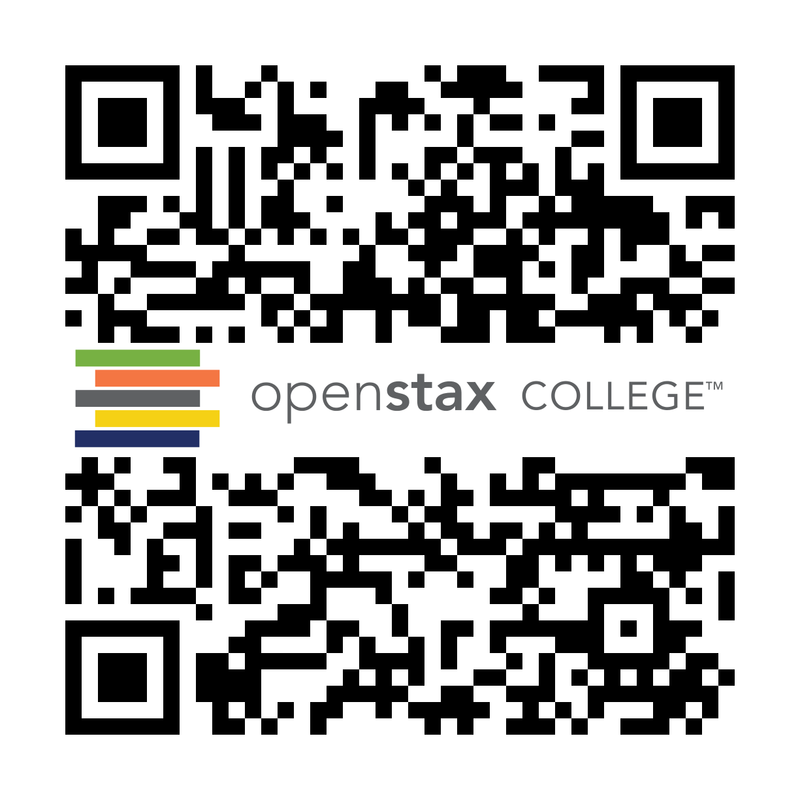 Importance of Biodiversity by OpenStax is licensed under CC BY 4.0. Modified from the original by Matthew R. Fisher.